When Dr. Jim Owens, a longtime history professor at University of Lynchburg, died in August of 2017, he bequeathed to the College a large and eclectic collection of artwork. Of the approximately 300 pieces, many fall into the category of southern outsider folk art. “Outsider” art has been described as self-taught, visionary, naïve, and intuitive. 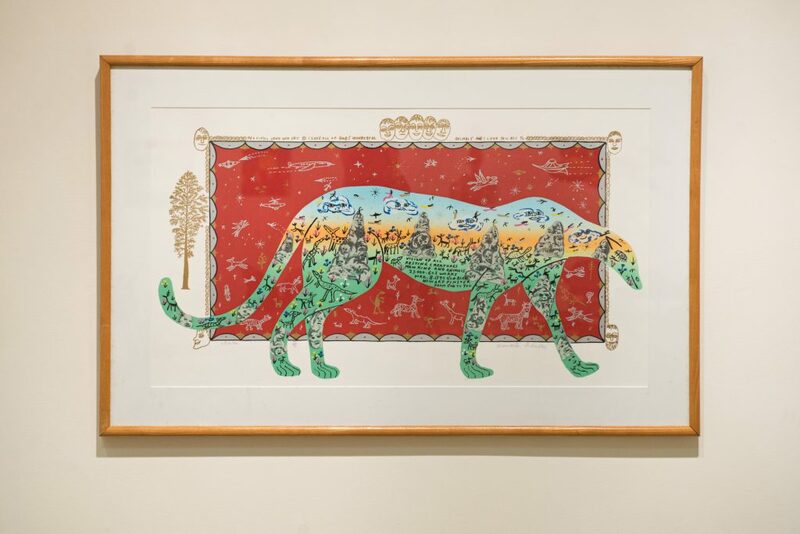 The Owens collection includes work by a number of celebrated southern outsider folk artists, among them Howard Finster, Mose Tolliver, Annie Tolliver, and Jimmy Lee Sudduth. Some of the pieces are whimsical, like Annie Tolliver’s toothy turquoise fish. Other artists — Finster, for example — incorporated religious themes into their work, along with fantastical images of spaceships and flying animals. In Sudduth’s case, he sometimes painted with mud or motor oil on discarded objects, like doors. 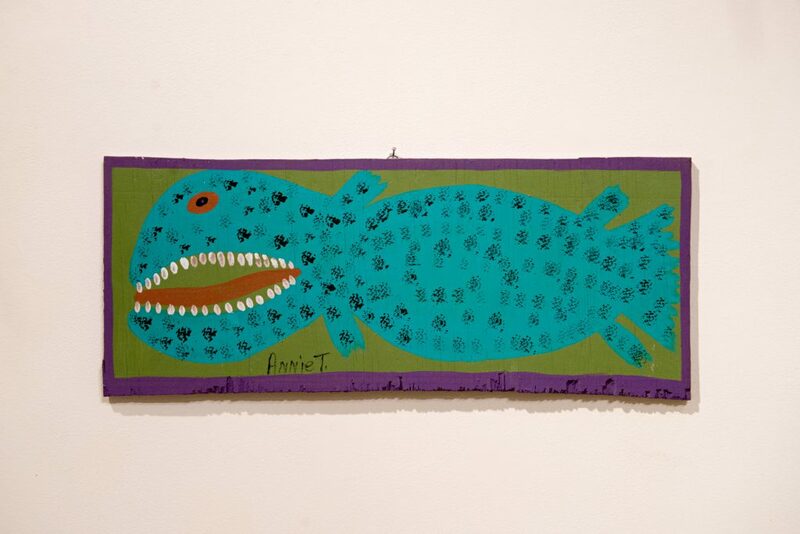 This turquoise fish, painted by Alabama folk artist Annie Tolliver, is part of the Owens collection. Howard Finster’s “Cheata” includes spaceships, flying animals, and religious themes. Meisner, who is pursuing a master’s degree in Nonprofit Leadership Studies at Lynchburg, admitted she knew nothing about outsider folk art before working on the Owens collection this past academic year with student workers Shelby Miller ’18 and Will Tharp ’19.